Americo Original is Toronto knitwear designer Nicole Sibonney's beautiful yarn collection sourced from yarn mills in Peru featuring a beautiful, understated colour palette and luxurious fibres that speak to timeless, wearable luxury. 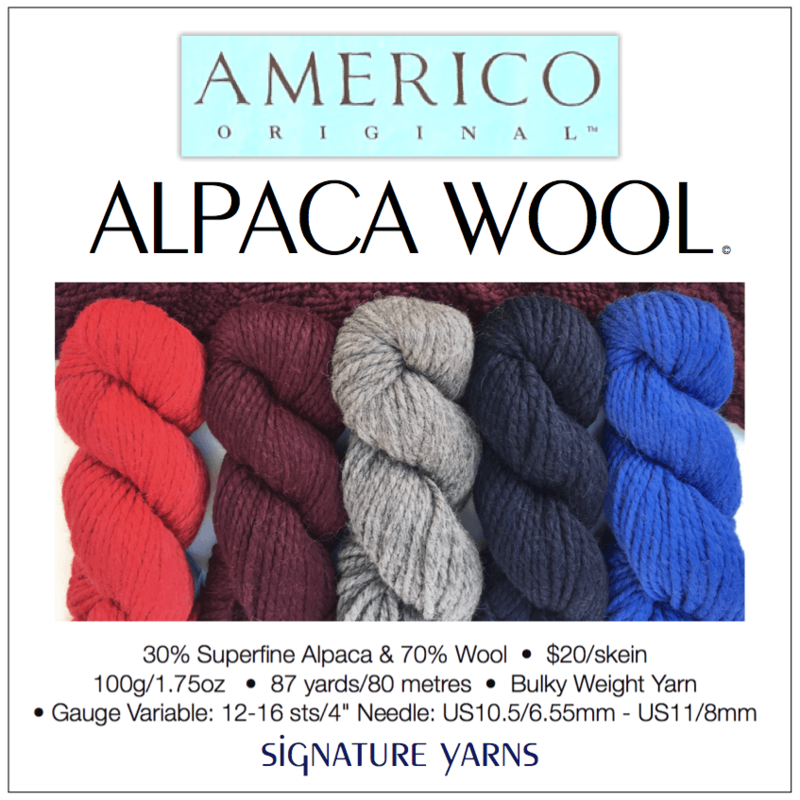 I am proud to retail select yarns from the Americo Original yarn line at Signature Yarns including Baby Alpaca, Llama, Peruvian Highland Wool, Merino, Silk, Cotton, Bamboo and Linen. I also feature knitting kits combining Americo Original yarns with designs by Robin Hunter and yours truly, the Patrick Madden Collection. Click/Tap On Product Or Kit Images To Open Order Page.